Join us on our most ambitious project to date following in the footsteps of Marco Polo. The aim is to ride from Venice to Beijing with 7 distinct stages pencilled in. The first of these is running in September 2020 and takes us from Venice (Italy) to Athens (Greece). Dylan and Marcello are the architects of this tour and it has been on their radar for over 20 years of running bike tours. Meeting Stephen Fabes in 2013 on his 6 continents ride served to provide the inspiration to make it happen. Check out the video below that gives an insight into his amazing journey. We’re delighted to have Stephen on board as a guide and tour ambassador. Our Epic Adventures are all created with a sense of discovery at their core and this tour fulfils that in abundance. 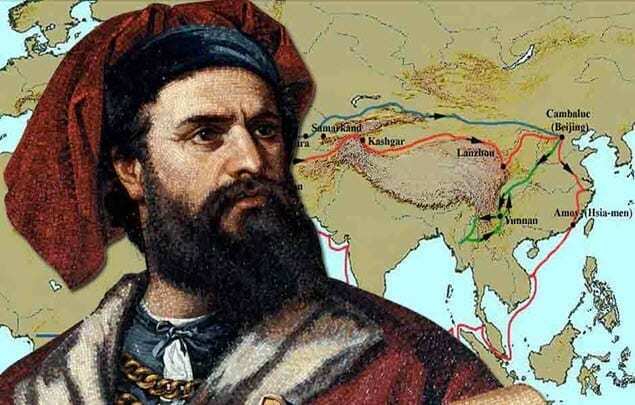 Marco Polo is one of the great travellers in history and in many ways he embodies the spirit of the tours we run. The historical focus provides the context and runs in tandem with the cultural and gastronomic immersion we always seek to provide. We also try to innovate and in the case of this tour we have set it up with both land and sea-based accommodation options. This kind of tour innovation is no doubt part of the reason why Marco Polo is up for the National Geographic Bike Tour of the Year award. Bike and barge tours have been around for a while but no tour company has attempted to run a tour of this nature with water-based accommodation options. We’ll be accompanied on our journey down the Adriatic coast by a sailboat that will be at hand to give us a lift when required and provide accommodation as well. Cycling down the coast from Italy through Croatia, Bosnia Herzegovina, Serbia, Montenegro, Albania and Greece we will ride from harbour to harbour. This tour has Marco Polo’s spirit at its heart and is the first Epic bike and barge tour! Our sailboat offers the possibility for some to sleep aboard whilst others can choose to lodge in our land-based hotel options. Stephen is a guide and ambassador for our Marco Polo tour. 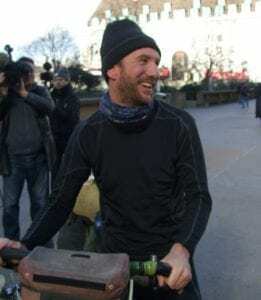 His travel blog – https://cyclingthe6.com/ – served as inspiration and a guidebook for the concept behind the tour. We first met Stephen in 2013 Sydney when he was on the Australian leg of his Epic 6 continents ride – 75 countries & 86,209km (53,568 miles) – and were delighted to help him with some mechanical issues he was having. During our conversations the idea of a Marco Polo tour from Venice to Beijing came to the fore as he had first hand experience of riding much of the proposed route. Now Stephen is back to his day job as an ER doctor in London and working on his book it was the perfect time to reconnect. Being pushed down a grassy slope by my Dad, wailing, without stabilisers. About as formative was cycling the length of Chile, aged 19, with my younger brother, from Patagonia to The Atacama Desert. I pedalled a Santos Travelmaster around the world for six years. It was the only bike I needed. Climbing to the Andean passes between Chile and Argentina was tough, but the views were outstanding. Paso Sico and Paso Pircas Negras stand out. Anything on the tours that run through Italy! Marcello is a native of the lovely town of Bosa on the west coast of Sardinia. 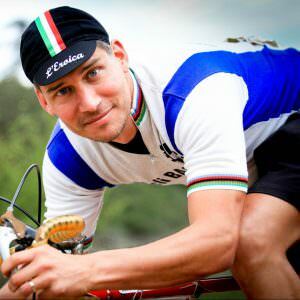 He has been working on bike tours for 20 years and is highly respected within the industry. He presently lives just outside Cagliari with is wife and two kids. Along with Simone and Gian-Mario he now runs the company Mediterras. This is the team that conceptualised our 3 Islands tour and also helps deliver some of our custom tours. Marcello plays an important role in improving our mapping capabilities and is also working with Dylan on our most ambitious tour yet for 2020 – simply named ‘The Project’ for now. More than 20 years ago, while I was studying at university I bought a bike from the mall for 100 euros. 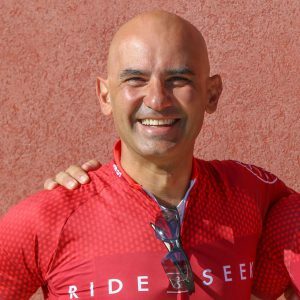 I was cycling 50km a week when one Saturday I headed out with a sandwich and a bottle of water and it turned into my first 100km ride. The fact that I now run a cycle tours around Europe has a lot to do with that crazy day. Richie is one of the Ride and Seek trip specialists who brings a rich life experience to the tours having served as a soldier and firefighter during his regular career. Now retired from both he has reinvented himself as a bike guide and professional mechanic. He has worked as a the lead mechanic on the Race Across America (RAAM) team and has guided all over the world – 4 continents to date. One of our most popular guides he is the Mallorca trip specialist but also features on many of our Epic tours as well. Proudly riding my pale blue Gresham Flyer bike to school. It was my pride and joy! I have a few, but my stand out is my Rapha Condor Sharp Team Leggero. She’s a beauty! I’ve just joined the Club des Cingles for those that ride up Mont Ventoux from all 3 sides in one day. I have to say that after that experience I have a new respect for the Geant as it was pretty tough. Ventoux still remains my favourite col though! I would like to take part in the Race Across America (RAAM) as a rider in either a 2 or 4 man team. I’ve acted as a navigator and mechanic for two teams to date and am now at a point where I’d like to ride it myself. Prior to working as a guide I had a career in the military and emergency services. A special skill would have to be that there isn’t much I haven’t seen! A plate of escargots in Meursault washed down with a fine Burgundy wine chosen by Bruno on the Caesar tour. English and my French and Italian is coming on. I aspire to be a polyglot, but the road is long! > There are options to lodge on the boat (limited availability) or land-based in harbour hotels. The price differentiation reflects the different costs involved with the two options. > Bike hire – If you don’t bring your own bike we have a fleet of bikes that we are able to rent out. Please click here to visit Our Bikes page which shows the options we have available, including the pricing which varies according to the length of the hire. 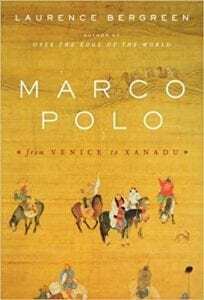 Marco Polo (1254-1329) has achieved an almost archetypal status as a traveller, and his Travels is one of the first great travel books of Western literature, outside the ancient world. The Travels recounts Polo’s journey to the eastern court of Kublai Khan, the chieftain of the Mongol empire which covered the Asian continent, but which was almost unknown to Polo’s contemporaries. Encompassing a twenty-four year period from 1721, Polo’s account details his travels in the service of the empire, from Beijing to northern India and ends with the remarkable story of Polo’s return voyage from the Chinese port of Amoy to the Persian Gulf. Marco Polo almost single-handedly introduced fourteenth-century Europe to the civilizations of Central Asia and China. 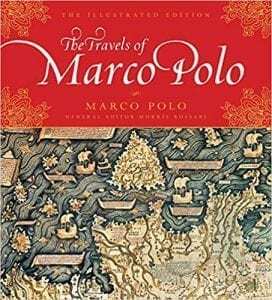 Now this stunningly illustrated volume, edited by renowned historian Morris Rossabi, offers the complete text of Polo’s travelogue, enhanced with more than 200 images–including illuminated manuscripts, paintings, photographs, and maps. Sidebars and dozens of informative footnotes combine to present Polo and his travels in a captivating new light. Drawing on original writings and walking in the footsteps of Marco Polo himself, Laurence Bergreen has created the most definitive biography of the legendary traveller to date, separating the man from his considerable myth. In this masterly work, Marco Polo’s incredible odyssey—along the Silk Road and through all the fantastic circumstances of his life—is chronicled in sumptuous and illuminating detail. The respected historian and travel writer, John Man, tells the remarkable story of the world’s most famous traveller — Marco Polo — and the moment when East met West for the first time. 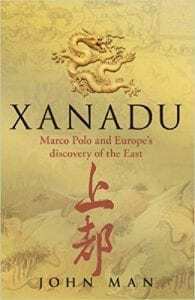 Marco Polo’s journey from Venice, through Europe and most of Asia, to the court of Kublai Khan in China is one of the most audacious in history. His account of his experiences, known simply as The Travels, uncovered an entirely new world of emperors and concubines, great buildings — ‘stately pleasure domes’ in Coleridge’s dreaming — huge armies and imperial riches. His book shaped the West’s understanding of China for hundreds of years. Marco Polo (1254-1324) was a Venetian merchant who journeyed across Asia at the height of the Mongol Empire. He first set out at age 17 with his father and uncle, travelling overland along what later became known as the Silk Road. Upon reaching China, Marco Polo entered the court of powerful Mongol ruler Kublai Khan, who dispatched him on trips to help administer the realm. Marco Polo remained abroad for 24 years. Marco Polo was born around 1254 into a prosperous merchant family in the Italian city-state of Venice. His father, Niccolò, and his uncle Maffeo had left the year before on a long-term trading expedition. As a result, he was raised by extended relatives following his mother’s death at a young age. Niccolò and Maffeo first spent about six years in Constantinople (now Istanbul, Turkey), which had been under Latin control since the Fourth Crusade of 1204. The two brothers then went to the port city of Soldaia (now Sudak, Ukraine), where they owned a house. Did you know? Christopher Columbus purportedly sailed to the New World with a copy of Marco Polo’s “Travels” in tow. Thinking he would reach Asia and having no idea about the Mongol Empire’s collapse, Columbus marked up the book with notes in preparation for a meeting with Kublai Khan’s descendant. The Byzantine re-conquest of Constantinople in 1261, along with upheavals in the Mongol Empire, may have blocked their way home. Niccolò and Maffeo therefore turned east in order to trade in such things as silk, gems, furs and spices. After spending three years in Bukhara in present-day Uzbekistan, they were encouraged by a Mongolian embassy to visit Kublai Khan, grandson of Genghis Khan, who controlled a huge swath of Asia. Kublai quizzed them on European affairs and decided to send them on a goodwill mission to the pope. 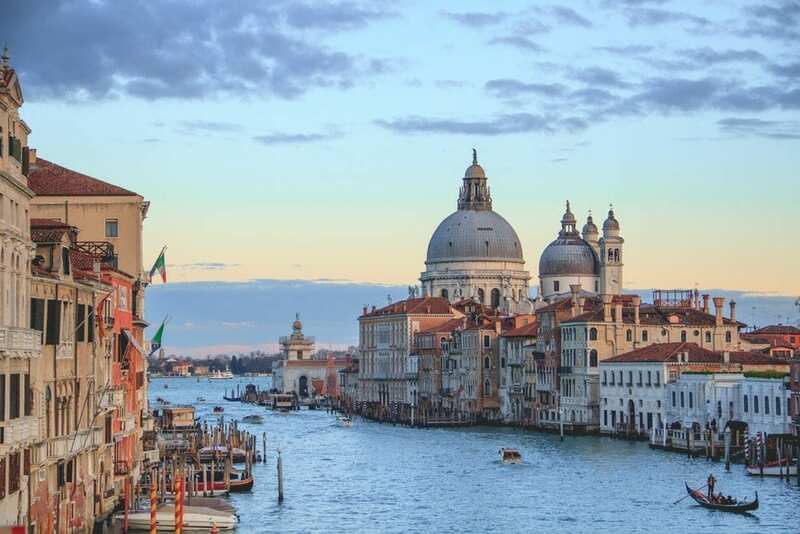 In 1269, the two brothers finally made it back to Venice, where Niccolò and Marco Polo met each other for the first time. 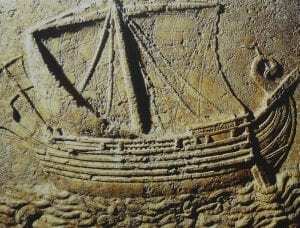 Marco Polo was captured in battle by Venice’s arch-rival Genoa. While in prison he met the Arthurian adventure writer Rustichello of Pisa, with whom he would collaborate on a 1298 manuscript called “Description of the World.” It has since become better known as “The Travels of Marco Polo” or simply “The Travels.” With the help of notes taken during his adventures, Marco Polo reverently described Kublai Khan and his palaces, along with paper money, coal, postal service, eyeglasses and other innovations that had not yet appeared in Europe. He also told partially erroneous self-aggrandising tales about warfare, commerce, geography, court intrigues and the sexual practices of the people who lived under Mongol rule. 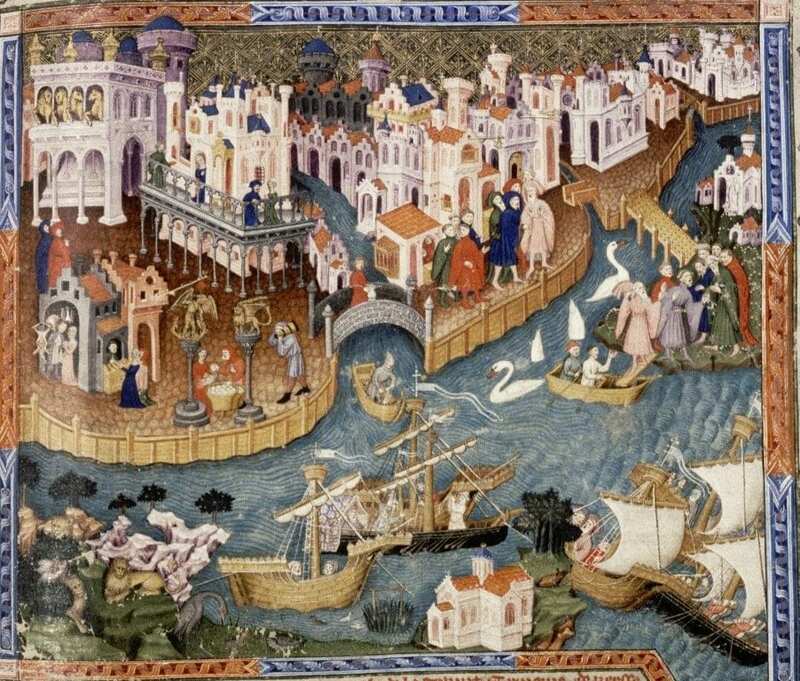 A Genoese-Venetian peace treaty in 1299 allowed Marco Polo to return home. He probably never left Venetian territory again. The following year, he married Donata Badoer, with whom he would have three daughters. Not much is known about his golden years except that he continued trading and litigated against a cousin. 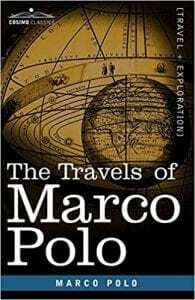 Marco Polo died in January 1324, having helped to inspire a later generation of explorers. Everything we know about him comes from his own text and a few Venetian documents; Asian sources never mentioned him. This lack of hard evidence has caused a small number of sceptics to question whether Marco Polo actually made it to China. They back up their case by pointing to certain inaccuracies in “The Travels,” as well as his failure to report such practices as chopstick use and foot binding. Nonetheless, most scholars are convinced by the detailed nature of Marco Polo’s account, which, they say, overwhelmingly checks out against available archaeological, historical and geographical records. Our ultimate adventure in the footsteps of Marco Polo. 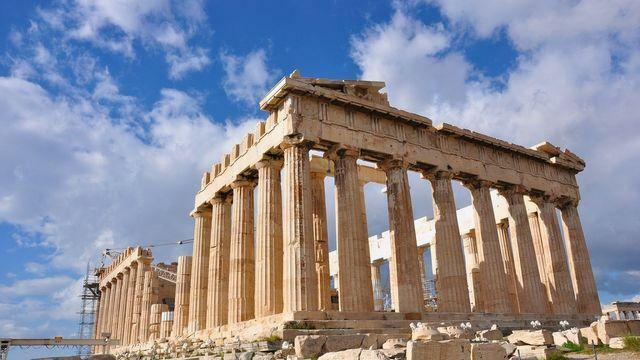 The first leg of our tour takes us from Venice to Athens and we offer a choice of sea and land based accommodation.